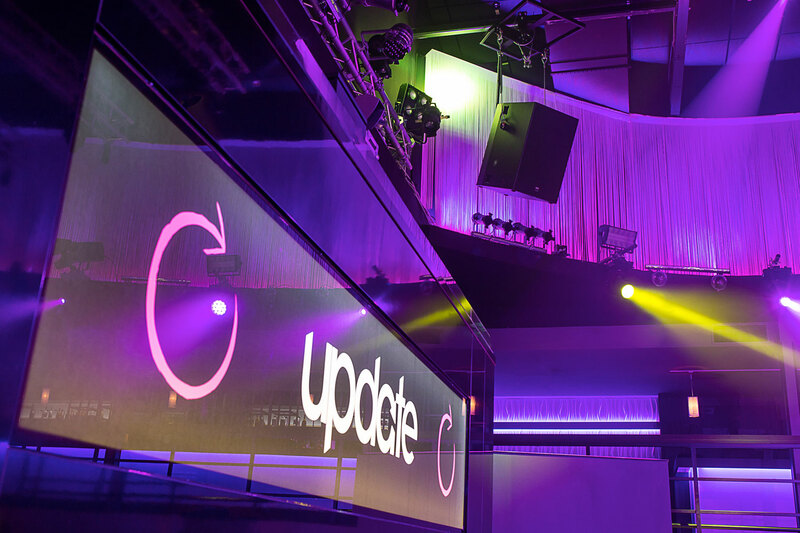 Back in 2007, extensive renovation and expansion work got off the ground to turn the approximately 2,000 m2 “Bridge”, the name of the nightclub in the past, into what is now a roughly 4,000 m2 nightlife Eldorado, “Update”, of the new operator, Passport Gastro GmbH & Co. KG. 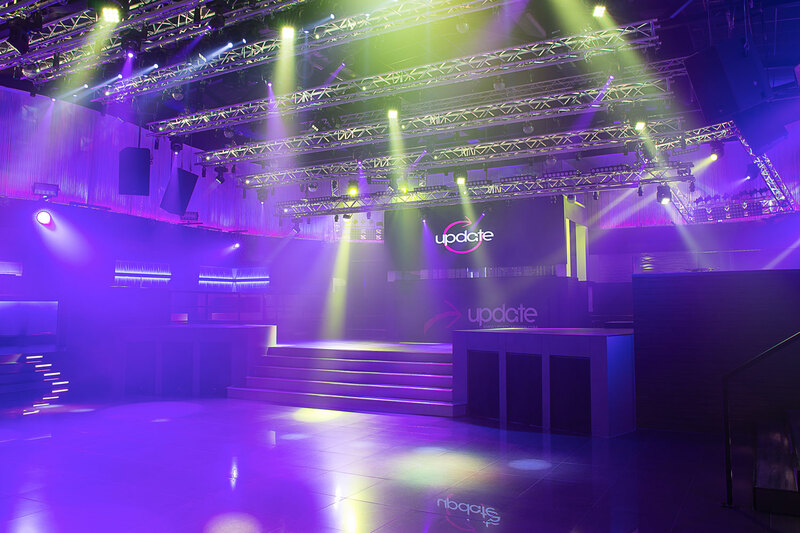 Then in 2014, not only was the floor space of the two-storey nightclub of 25 x 60 m expanded by a further 20 x 60 m, but it was also equipped with the latest technology. The two managers Carsten Kengel and Roald Smit were deeply involved in the planning and implementation phase from the outset, and attached great importance to ensuring that the right technology was used for the four floors, restaurant and adjacent areas. 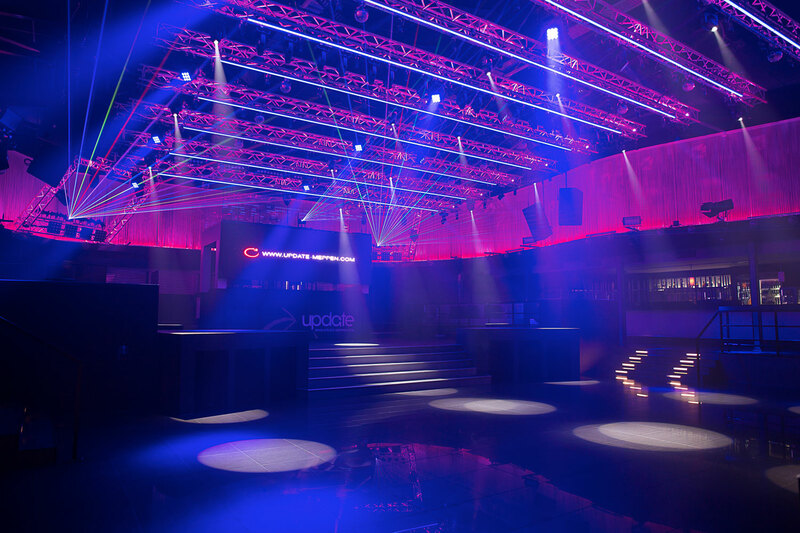 At the opening on 2 October 2014, 4,000 guests thanked the two operators with a sold-out venue and many other well-attended weekends. The building complex has a total of four floors with different styles of music. 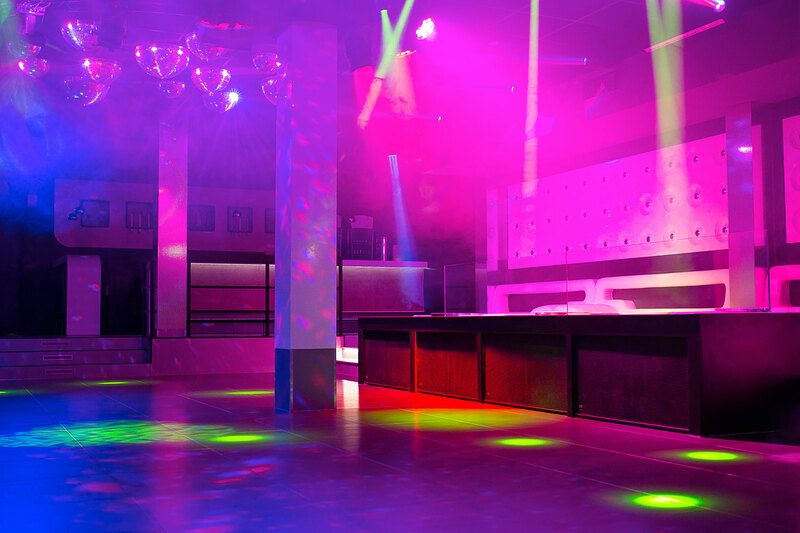 The “Main Floor” is the largest one in the disco and is used for a wide range of musical acts and events. 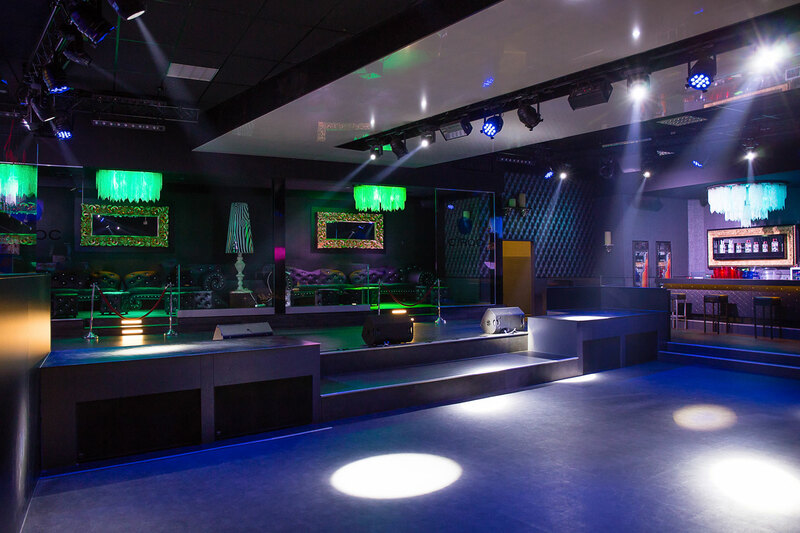 The house club is called “Eclipse”. 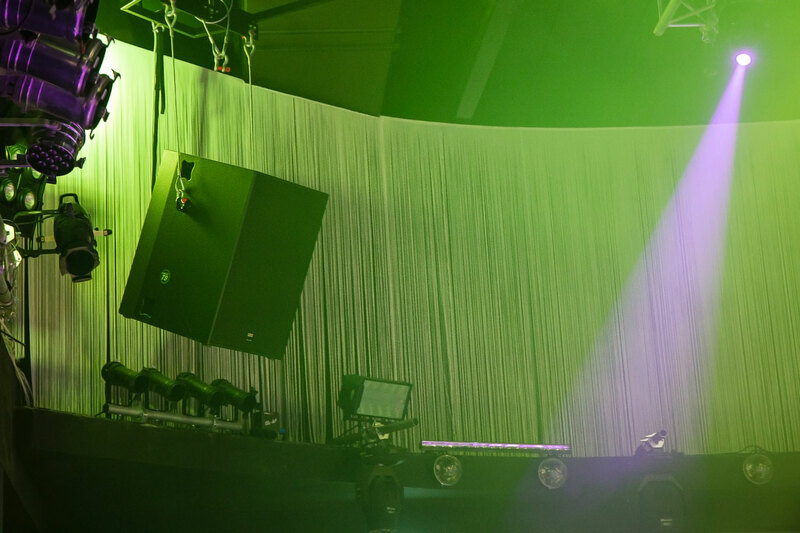 In “Delight”, mainly hip hop, RnB and related genres are played, whereas the direction in the “Saloon” is party music and pop. In addition to the four floors, there is also a chill-out area where guests can take time out to relax, as well as a restaurant and bistro where they can get refreshments. 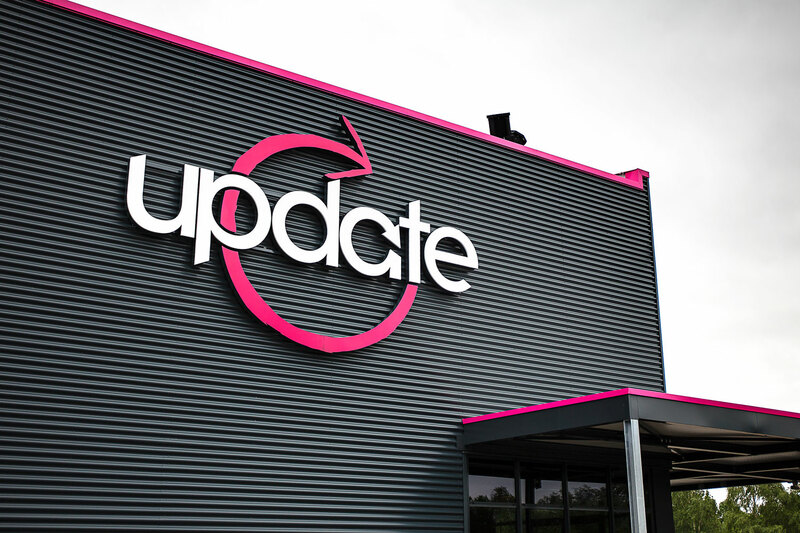 The K&F system house LSC Voerde, with CEO Dirk Wennmann, carried out all the technical sound and light conversion in “Update”. 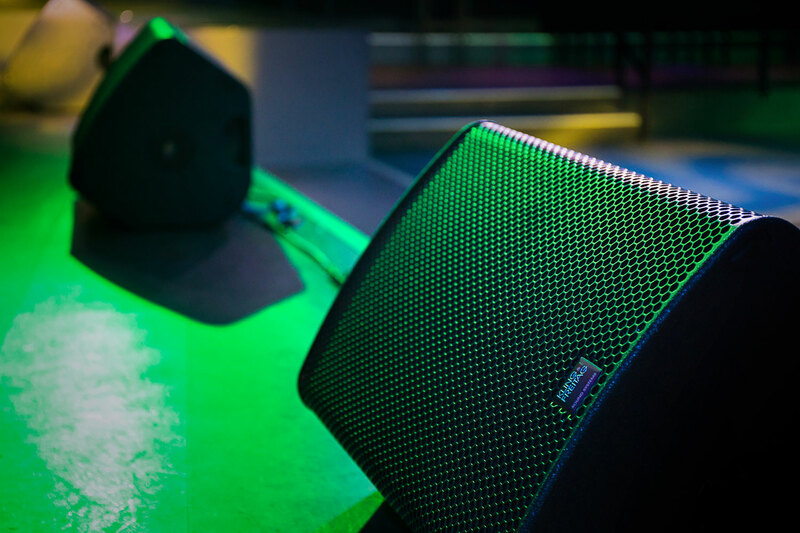 Practically everything was renewed in the various areas and only a handful of K&F speakers from the former inventory was kept. 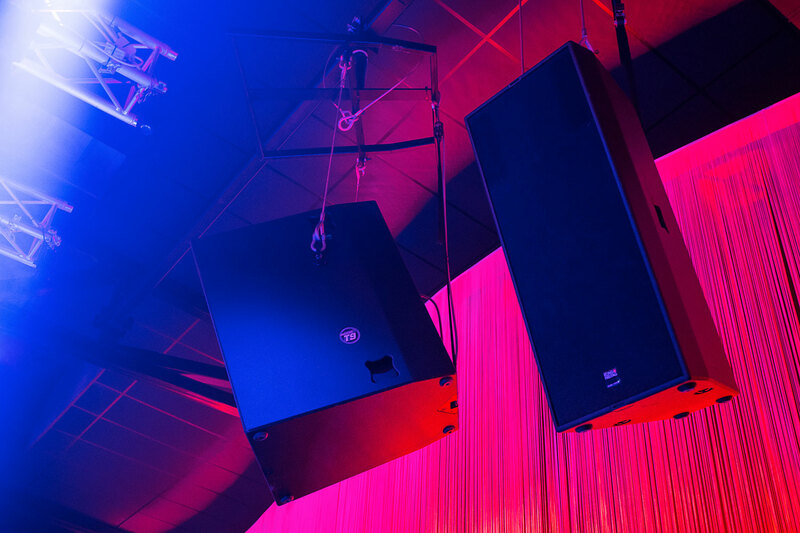 In the “Main”, the sound for the slightly deeper dance floor is provided by a total of seven full-range K&F ACCESS and Line speakers, as well as six K&F ACCESS B5 double 18-inch subwoofers. 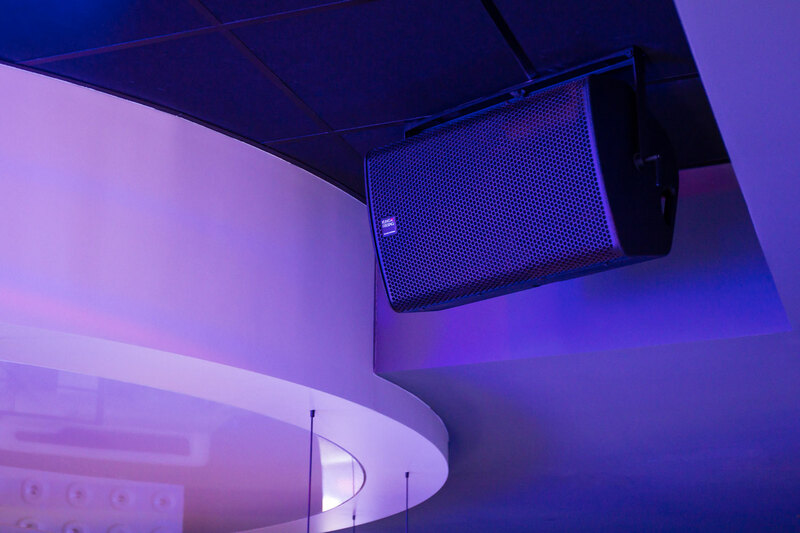 For the surrounding areas of the “Main”, such as the three bars and the seating areas, a number of K&F GRAVIS 12+, 15 N and PASSIO full-range systems, as well as NOMOS LS II subwoofers, were also installed. 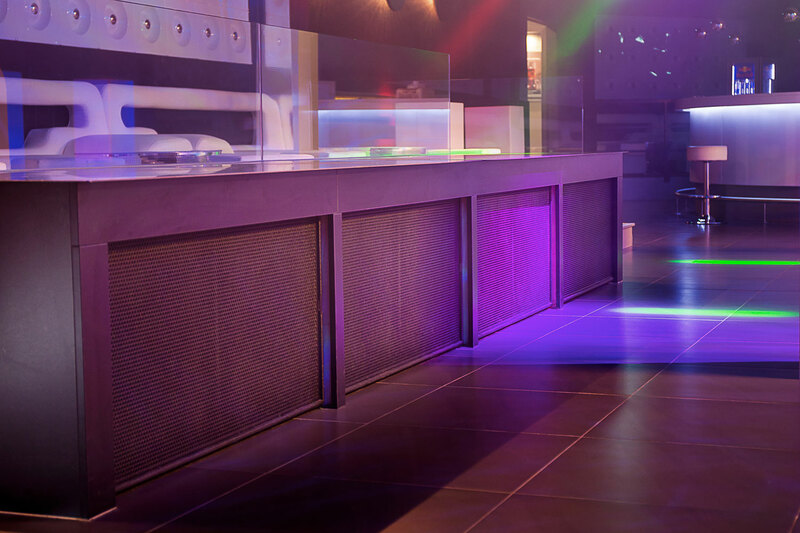 In the “Delight” and “Eclipse” floors, almost identical setups were installed. Each had 15-inch versions of the GRAVIS series for the dance floors, and DJ booth sound and 8-inch GRAVIS systems were installed in the side areas of the two floors. Four K&F NOMOS XLT systems make sure there is good pressure in the base. 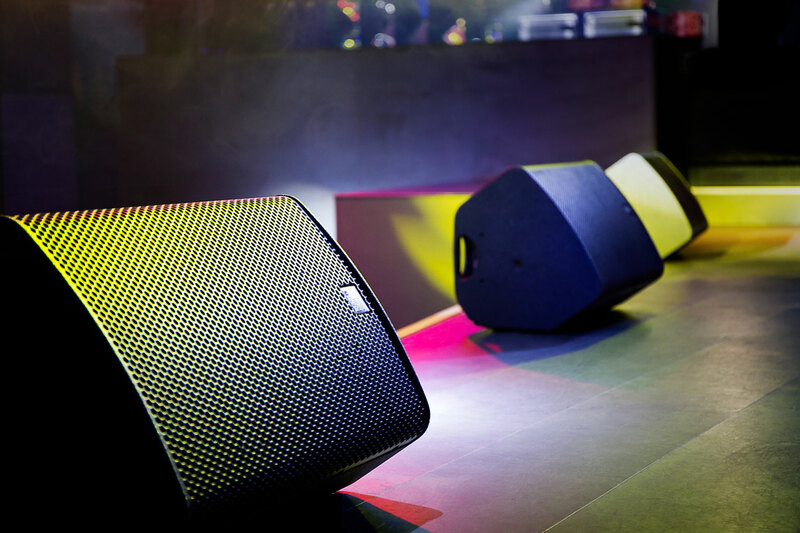 These are also double 18-inch subwoofers, such as those in the “Main Floor”, but with a direct radiating chassis assembly. 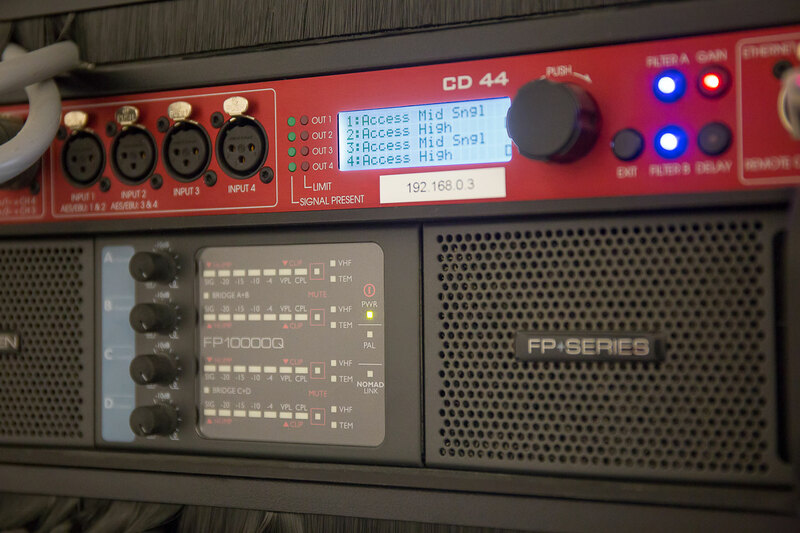 The speaker controls and amping are installed in some of the building’s technical rooms, which are not accessible to the public. 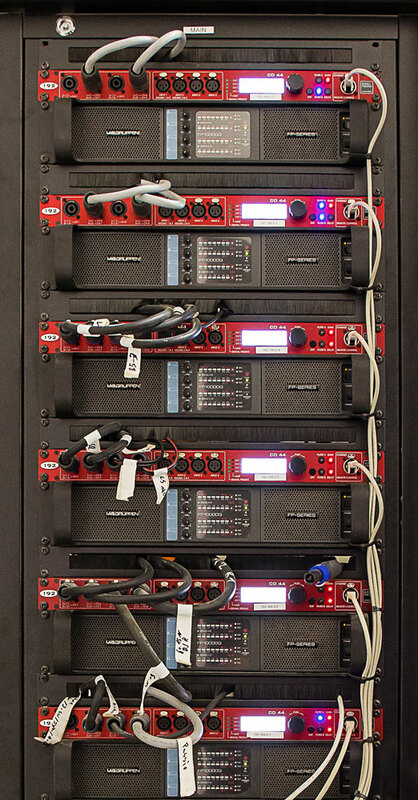 A total of eleven K&F SystemRacks, consisting of K&F’s own Controller CD 44 and the Lab.gruppen FP10000Q amplifiers, are used here as signal processing and power amplification.